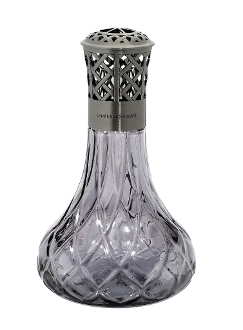 Lampe Berger uses a unique metal plating and lacquering process for a subtle metallic effect that provides an interesting brilliance. The beautiful shape of the lamp and the old style lattice top make a fine combination. The Lampe comes in a fine gift box and includes a wick/burner, funnel, both tops and instructions. Recommended by Imperial Galleries.